IN2 and Ecooo, with the collaboration of the Rubí Brilla Project, join forces to solve these problems and bring a solution with the help of a software package that helps tracking of energy costs and consumption, and consists in management software build for public administrations and an APP for public use to communicate, raise awareness and involve people in these changes. As a NO-profit company, the benefits of its activities go to projects and activities related to information, awareness and education in matters of energy, environment and promotion of an economic system founded on respect for social rights and the environment. IN2 is a technological company, created in 1994 entirely with local capital, expert in development and implementation of whole solutions based on Open Source technologies, helping our clients to optimize their activity in the 4.0 environment. IN2 provides its customers with the necessary Internet digital tools to achieve their objectives as an organization, guarantee their results and improve the efficiency of their processes. For two decades IN2 has developed numerous projects in the public sector, especially in those that generate spaces of communication with citizens. The town of Rubí, located 20 km inland from the city of Barcelona, is running the Rubí Brilla project, a strategy for promoting energy efficiency and use of renewable energy in the industrial, commercial, domestic and public spheres, as a means of making the municipality more competitive and environmentally friendly. 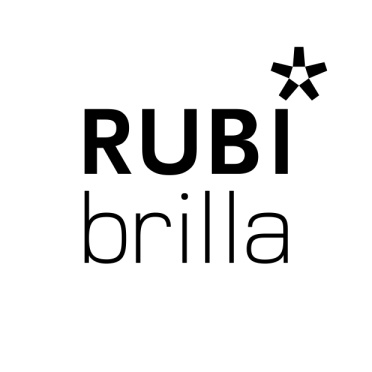 Rubí Brilla’s recognition comes from the results achieved since its start in 2011, which include, amongst other things, a reduction of more than 3,000 t of CO2 savings in municipal facilities, including 11 public schools and 4 sport facilities, 15% reduction in the electric bill of 300 families, 41 sustainable business certified, and more than 300 industries, 2 universities and the Cartographical and Geological Institute involved within the project.